The nervous system is the master control network for your body, directing virtually every function and action, from monitoring your life needs to precisely responding to threats to your health. Each system, from your heart and blood vessels, to your digestive and immune systems, is directed through nerve impulses originating in your brain or spinal cord that travel through its protective bony structure: the spinal column. Most people will not experience these severe injuries; however, sprains of the delicate ligaments with subluxation (misalignment) do commonly occur. Despite the injury being smaller, their location (the neck) makes their impact more profound. Functions throughout the body can be impaired when the nerves in the upper neck are compromised. Because every nerve passes through the neck if irritation or compression is present, virtually any system of the body can be affected. The point being is that a neck disorder will not necessarily just cause neck pain or a headache. Dizziness, digestive problems, fatigue, high blood pressure and generally reduced quality of life are some of the symptoms patients commonly experience. If you have suffered a severe whiplash, you may have noticed far more than a stiff neck. Indeed, recent research suggests whiplash needs to be more thought of as a whole body disorder. 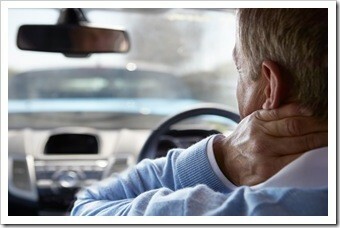 Our Whiplash experts take these injuries in our offices and address them in both a specific and comprehensive manner. Most patients who have suffered a neck trauma will require x-rays to analyze the posture of their spine. X-rays may also need to be taken in motion to test the stability of your ligaments and to determine precise levels of impaired movements. Oftentimes, MRI’s of the cervical spine is also taken to determine herniated or torn discs. Without this roadmap, it is difficult to determine how care should be directed and factors that could influence your long-term prognosis, such as degeneration. APIC is Ready To Help! Our healthcare team at Atlanta Personal Injury Clinics are dedicated to non-invasive natural methods to restore vitality. We try to work with your body with techniques that don’t carry the all too common side effects commonly seen with long-term drug use or surgery. We are available to serve you as soon as today with multiple clinic locations throughout the Greater Atlanta area.